From Jan. 1 to June 30, Gutierrez's campaign has made $30,000 worth of payments to Soraida, Federal Election Commission filings show. 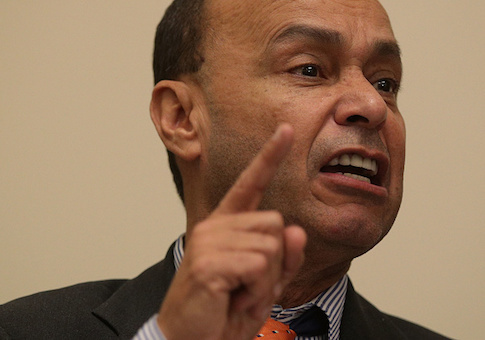 During this time, Gutierrez's committee reported $72,000 in expenditures. Prior to this election cycle, Soraida took in a total of $385,000 in payments from her husband's campaign, meaning that she has now been paid $415,000 from Gutierrez for Congress. In 2010, Soraida was given $44,000 from her husband's campaign and was the top recipient of cash from the committee that cycle. In 2012, Soraida was paid $93,000 from the committee, again making her the top recipient of campaign cash. In 2014, Mrs. Gutierrez was again the top recipient as she hauled in $110,000. During the 2016 cycle, her payments increased to $125,856. Members of Congress have been allowed to place family on their campaign's payrolls since 2001 when then-Rep. Jesse Jackson (D., Ill.) asked the Federal Election Commission to issue an advisory opinion on the matter. Gutierrez's office did not return a request for comment on the payments.